The television Limited Series has quickly become one of the most dynamic and entertaining formats in the medium. Within the past year, HBO released two productions that will stand as the standard bearer for years to come. One of these, BIG LITTLE LIES, was a big winner at the Emmy’s, taking home eight awards. 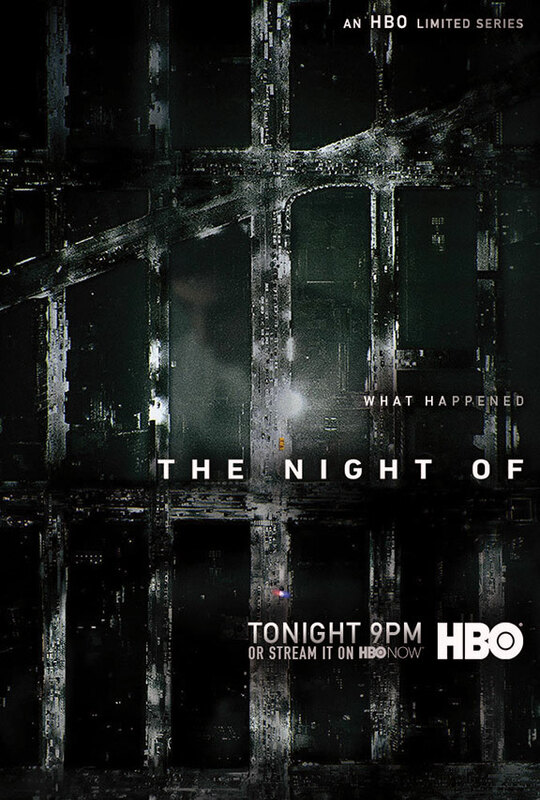 The other, THE NIGHT OF, stands as one of the most intense, engaging, and thought-provoking series in the history of the network. 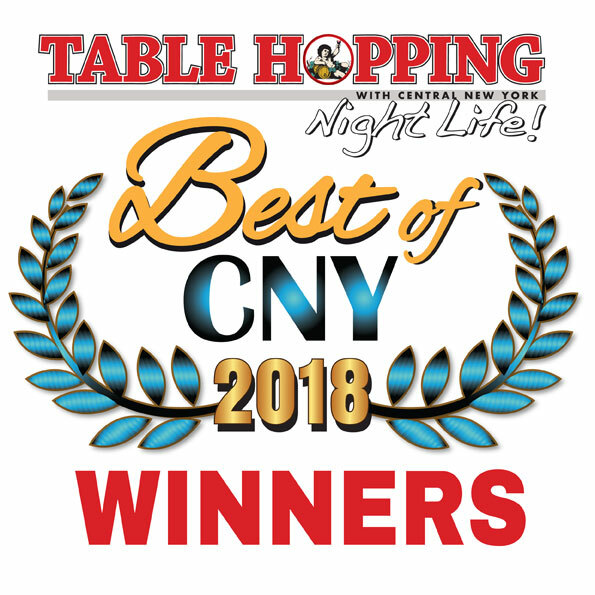 When you look legendary titles such as THE SOPRANOS, SIX FEET UNDER, BOARDWALK EMPIRE, THE WIRE, and of course, GAME OF THRONES, it is incredible to realize that THE NIGHT OF can stand alongside any of these beloved entities. 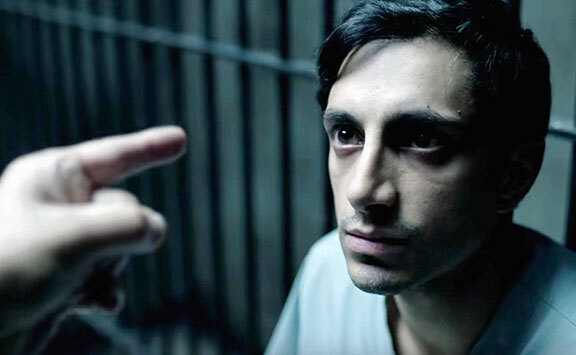 Nasir “Naz” Kahn (Emmy winner Riz Ahmed) is a 20-year old college student like any other in New York City. When he is invited by a member of his school’s basketball team to attend a party, he knows it could be a night of epic proportions. As he is set to leave, his buddy that was going with him pulls out at the last minute. Not wanting to miss the destined-to-be legendary bash, he takes his father’s taxi cab and heads into the city. Naz gets lost along the way, and when a young woman named Andrea (Sofia Black-D’Elia) mistakes him for an on-duty cabbie, his first instinct is to kick her out. After speaking with her for a little bit, however, he changes his mind. Eventually, they end up at her place. Though wildly against his character, the two drink, take drugs, and head to her bedroom. Rather than being a simply omnipotent observer to the events that unfold, directors Steven Zaillian and James Marsh put you in the midst of the action. Naz wakes up in Andrea’s kitchen, with no memory of how he got there. He goes up to say goodbye, and when he turns on the light, he makes a gruesome discovery. Laying in a pool of blood, with spatter on the walls and multiple stab wounds all over her body, Andrea had been butchered. Panicking, he runs from the apartment, only to realize he had left his car keys behind. Unable to reenter the apartment, he breaks a window, finds his jacket and keys, and decides to bring the knife and drugs with him. Fleeing the scene, he makes an illegal turn and is pulled over. From there, his life quickly spirals out of control. THE NIGHT OF is unlike any procedural that I can recall. The stunning realism on display can be attributed to countless factors. Presented in stunning high definition, the viewer sees the smudges and streaks on the windows in the police station, the rust on the prison bars, and the peeling paint on the rails. We are presented with a rare glimpse into the harsh and terrifying realities of the criminal justice system. From intake, to booking, to holding cells, to courtrooms, and finally, to the disparaging depths of Rikers prison, over the course of 8 flawless episodes, we are put in Naz’s shoes. Rather than being a simply omnipotent observer to the events that unfold, directors Steven Zaillian and James Marsh put you in the midst of the action. This allows the viewers to become more emotionally invested in Naz’s tortured existence, and certainly causes to you be far more sympathetic to his plight. Despite the avalanche of evidence, and the fact that we never see the crime committed, you can’t help but align yourself with the accused, and hope against hope for his exoneration and redemption. Riz Ahmed, won an Emmy for his role. The performances by the entire cast of THE NIGHT OF are impeccable. Ahmed, who won an Emmy for this role, crafts a character that is enduringly sympathetic. Throughout his journey, he must not only adapt, but make life-altering decisions in order to survive. As Naz’s lawyer John Stone, John Turturro provides what may very well be the best performance of his illustrious career. This, when you think about it, is a fairly remarkable fact. Turturro is a Hollywood journeyman who has been providing unforgettable turns for decades. As the beleaguered defense attorney who finally stumbles onto the case he has always yearned for, Turturro treads the fine line between hero and heel. In the early episodes, more than anything else, he longs to get paid. Throughout the course of each passing installment, however, he begins to believe that Naz could actually be innocent. On the opposite end of the spectrum, veteran Detective Box (Bill Camp) proclaims that he is certain that Naz is guilty of the charges levied against him. Box, who is methodical and tremendously thorough, is determined to make his “one last case” end in the prosecution of a murderer. Outwardly, he says all the right things, and sells District Attorney Helen Weiss (Jeannie Berlin) on Naz’s guilt. Digging deeper into his psyche, it seems as if Box may be a little less convinced than he is willing to admit. HBO veteran Michael Kenneth Williams (THE WIRE, BOARDWALK EMPIRE) also provides a searing performance as Freddy Knight, a former professional boxer who now runs Rikers from the confines of his cell. THE NIGHT OF, for me, is one of the greatest feats of television I have ever seen. Every character, sequence, setting, and sentence uttered is as engrossing drama as you will witness on the small screen. Hauntingly beautiful to watch, it is the type of story that forces you to cringe, cry, flinch, and laugh. It is shockingly brutal in one moment and emotionally profound in the next. The second an episode ends, you leap at the chance to press play to move on to the following installment. At the same time, to take it all in over one or two big binges, it is difficult to fully appreciate the complexities that have just unfolded. It is a challenging adventure that refuses to deliver straight forward answers, and forces the viewers to ponder questions of morality, guilt, and innocence. 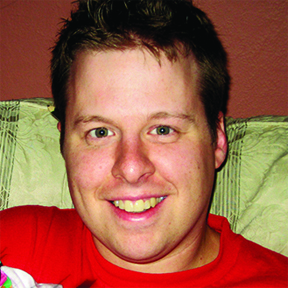 It shines an unflinching light what it truly means to be presumed guilty from the moment you are arrested, and causes you to reflect on what you may do if you were placed in Naz’s unfortunate shoes. 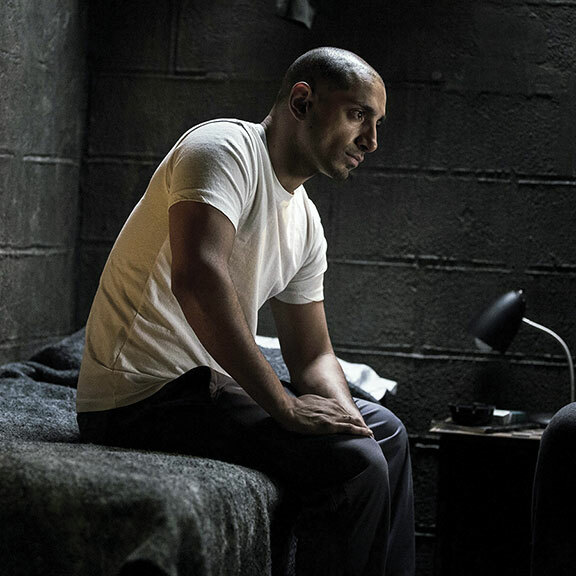 THE NIGHT OF introduces viewers to characters that are flawed and unenviable. All of these factors fuse together in perfect harmony to create a production that, despite the familiarity of scenarios and storylines, proves to be one of the most original series’ that HBO, or any other network, has ever done.